Genesis 3 plays an important role in Provan’s approach to this question … “it is the embrace of evil, our biblical authors claim, that explains much of the suffering that arises in the world.” (p. 106) The word “much” is quite intentional, and quite significant. Provan puts forward a view that many will find surprising. He does not think the biblical authors had any intention of attributing all pain and suffering, particularly so-called natural evil including earthquakes, windstorms, accidents or disease, to the fall of the man and woman. The proposed absence of these in the initial good creation of Genesis 1 and 2 is an ideal that we read into the text, not one that is derived from the text. So-called “natural” evil then is not the result of God’s upheaval and curse of all creation, with fangs, stings, cancer, earthquakes, and tsunamis just punishment for the sin of a man and woman in a garden. Rather this “natural” evil is simply part of God’s good creation. Some level of toil and suffering is intrinsic to the world God made. The biblical authors did not see natural phenomena as troublesome, however much they might concern us. Genesis 3 is not intended to address the problem of natural suffering. Death is an enemy to mankind, but Provan notes, in common with many other Christian scholars, that death is not foreign to the earthling in 2:17. God does not have to explain the concept, the earthling knows already. Immortality is a potential state, a divine gift from God, not the natural state of the original humans in Genesis. The presence of the tree of life, and the need to exile the humans from the garden to keep them from the tree, makes this clear. Genesis 3 is not intended to explain the presence of death or human mortality, although it does shed light on the absence of God-granted immortality. What then is the question addressed in Genesis 3? The Entry and Embrace of Evil. Provan suggests that it is the increase in suffering that comes from the embrace of evil by God’s creatures. The best way to lay out Provan’s argument is to let him speak for himself. The embrace of evil starts with a nonhuman creature. 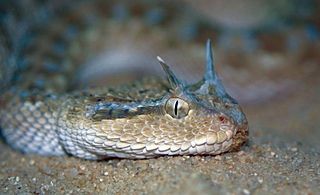 The serpent is associated with chaos and darkness in the ancient Near East, but Genesis makes it clear that this snake is merely one of God’s creatures. It carries no divinity or near divinity of its own. The humans in turn exercise their moral freedom, at the snake’s suggestion, to turn from God. Provan sees the knowledge of good and evil as associated with the idea of adult independence from a parent. “It is the wisdom that might enable a person to make his or her own judgments—autonomously.” (p. 113) While it is good for human children to grow up, it is not good when humans seek after independence from God. They want this other kind of wisdom too, and they are prepared to disobey God to get it. In doing so, they reveal that they have essentially decided no longer to be image bearers at all. They want to be gods, in the fullest sense, rather than representing and mediating God to creation. They want the autonomy that wisdom brings. Evil results in broken relationships. The evil that enters this world through the rebellion of the woman and man is primarily a human evil manifest in broken relationships. Toil and life are now marked by an unnecessary increase in pain and suffering. The massive increase begins with the breaking of the male-female relationship. There is now an entrenched struggle for dominance and control. 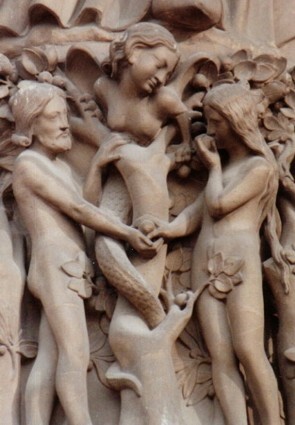 The new pain also arises, however, because the human pair’s relationship is now fractured, so that they no longer face the world as “one flesh.” This is starkly indicated in the second part of verse 16: “your desire will be for your husband, and he will rule over you.” The dynamics of the male-female relationship have changed. In Genesis 1–2, men and women are created to work in partnership (1:27-28, 2:20-23); in Genesis 3, however, the future of the woman is as a subject “ruled” by her husband (Heb. mashal). This verb refers to mastery or dominion, and it has not occurred previously in Genesis, although it will later (Genesis 4:7; 24:2; 37:8; 45:26). Most significantly for our present context, it also appears in Psalm 8:6-8 … What has become of the relationship between man and woman? These various occurrences of mashal make it clear that the man is envisaged in Genesis 3:16 as now relating to the woman as if she were part of the creation over which humans were given dominion, rather than being herself a coruler over creation. This is not so much a curse, as a statement of fact from God. Because the humans have rebelled in their desire to be like God, human relationships are broken. Looking back on Genesis 3, then, we have discovered something of the Genesis authors’ convictions about the presence of evil in the world, and the suffering that arises from its embrace. Almost from the beginning of human history, they propose, human beings have been seduced by evil and have failed to trust in the goodness and generosity of God. … They have aspired to become autonomous gods, rather than to remain the servants of the one true God. Evil is manifest in broken relationships. It is not an eternally existent force alongside God, rather it is the product of the free moral will of God’s creatures. It is personified in the serpent, but evil itself arises in turning away from good, it begins with the act of rebellion against God. This biblical view of evil, like the view of humanity, is completely different from the surrounding ancient Near Eastern culture. In the surrounding culture the world was not created good, or with mankind in mind. Evil and chaos was built into the very fabric of the world in ancient Near Eastern thought. Evil was resident in the nature of the relationships between the gods themselves. The gods were unpredictable, chaotic, vain, full of malice, competitive, inscrutable, and incompetent. The God of Genesis is none of these. Human evil enters the world through human abandonment of right relationship with the one true God. Evil has not always existed alongside God and equal to God. It has arisen from within God’s creatures, who have turned away from what is good and (in the case of human beings) have bequeathed this damaged inheritance to their descendants. Evil, thus understood as originating (first) in personal, nonhuman beings rebelling against God, (second) in the human failure to trust in the goodness and generosity of God, and (third) in the human desire to be a god, has led to suffering. Rather than cooperating together under God in the ruling of creation, human beings have instead sought to rule one another and have failed to complete their vital governance tasks. Widespread and devastating suffering has been the result. What are we to do about it? The authors of Genesis 3 had an important message to convey, a message that provides the opening act for the rest of the Old Testament story … and, of course, the New Testament story as well. Human rebellion, turning away from God, has consequences. Does Provan’s view make sense? Did the authors of Genesis intend to describe the entry of natural evil into the world, or only the entry of human evil? Does it matter? How does this impact the Bible’s story? If you would like to comment please see The Embrace of Evil at Jesus Creed. This entry was posted in Genesis, Humanness, The Fall and tagged Iain Provan. Bookmark the permalink.